We have helped Northumberland-based specialist home care provider, Cramlington House Limited, part of the Craig Healthcare group of companies operated by Lucy Craig, acquire West Farm Care Centre Ltd whilst completing a simultaneous refinancing and property sale. Cramlington House is a modern 63-bed care home which opened in 2013 and employs around 75 full-time staff. The company recently bought Longbenton-based, West Farm Care Centre Ltd, a purpose-built centre for the elderly that caters for both residential and specialised dementia care. 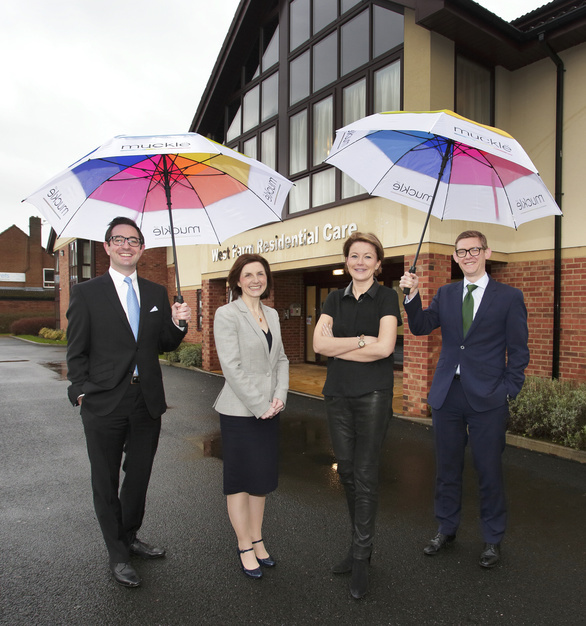 The acquisition of West Farm Care Centre Ltd and the sale of the Kingsbury House care home in Tynemouth will now provide Cramlington House and the associated Craig Healthcare group of companies with a platform to broaden their offering. It will also provide the specialist dementia care provider with the opportunity to continue its growth across the region. To finance the acquisition and support future growth, Cramlington House Ltd was assisted by Santander UK Plc who provided loans totalling £5.75m as part of a refinancing package. Members of our corporate, banking and real estate teams advised Cramlington House on the refinancing, sale and acquisition. Corporate solicitor, Matthew Walsh, of Newcastle-based commercial law firm, Muckle LLP, advised on the acquisition and sale of the businesses, while the refinancing work was led by partner, Louise Duffy. Commenting on the completion of the deals, Matthew said: “All three elements, the acquisition, the refinancing and the property sale, needed to come together and complete at the same time. Everything accelerated once the property sale was agreed and the projects required considerable co-ordination and driving forward to complete before Christmas. To make sure we delivered the acquisition in time we invited the parties into our offices to speed up negotiations. Banking partner, Louise Duffy, added: “We had to react quickly and we only had a short window to ensure everything came together at the same time. We completed the refinancing with Santander UK Plc, who were very supportive of the business and its future growth. They provided the funding to allow Cramlington House Ltd to make the acquisition of West Farm Care Centre Ltd as part of the overall package. Lucy Craig, MD of Craig Healthcare, identified a lack of high quality care home facilities for people in the North East with dementia. Her homes cater for residents who are funded by the local authority, as well as private patients. Speaking after the acquisition, Lucy said: “The success of our care homes has given us the confidence to expand our portfolio, having built a good reputation over the years for providing high quality care for elderly people. For more information on this deal or if you require corporate support please contact Louise Duffy on 0191 211 7946 or email [email protected].